We’re at the busiest point of the year in the garden which is why I’ve not been writing so much. There was a time when I could do a day’s digging and then spend a couple of hours writing in the evening but I suspect age is catching up. Out in the field beds I’ve got all my onion sets and shallots planted out now. I’m looking forward to seeing how the new lasagne come no-dig bed performs. Few growers are blessed with perfect soil and ideal climate so the challenge is coping with situation you have. I knew the raised beds would work out for sure but this new system is a something of a gamble. It should work in theory but theories are just hot air until tested out. Over in the polytunnel the potatoes are planted out but I’ve still not had chance to plant the main crop outside. They should have gone in on St Patrick’s day (17th March) according to my plan. It’s probably not a bad thing that I’m late as the weather has taken a step back. If they’d gone in as planned they’d be popping up to be greeted with frost, sleet and hail. Hoping for some cherries this year. 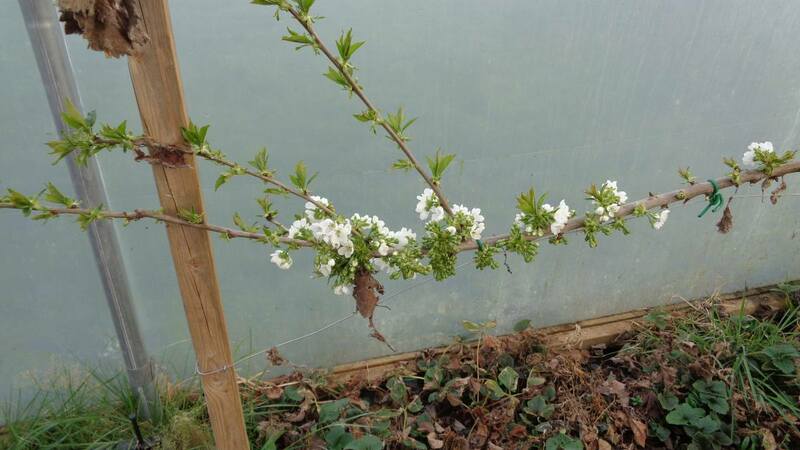 We’ve got a Cariad cherry (from Ian Sturrock) on a dwarfing rootstock in there. It’s flowering so maybe some of my favourite fruit later on in the year. My son-in-law came over and we made a start on the new greenhouse. We were doing OK until the wind got up and connecting the sides to the front and rear was impossible. All I need is a couple of calm, dry days. Surely not too much to ask? 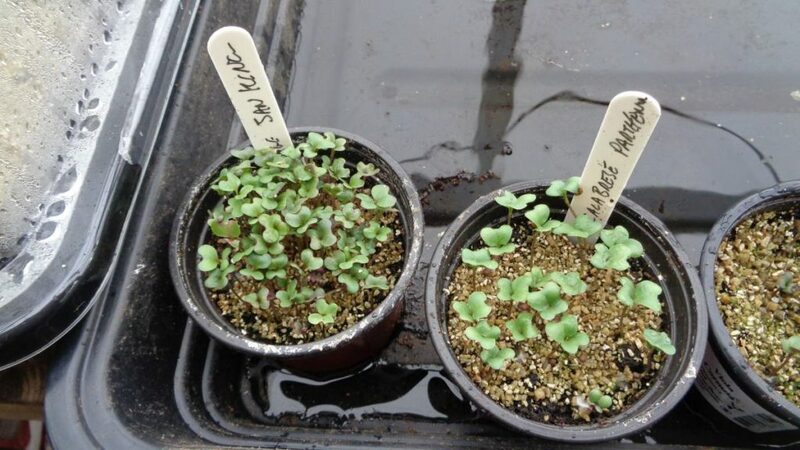 I didn’t expect good germination from the 7 year old seed on the left but it was excellent! 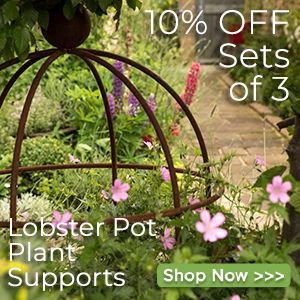 Over in the potting shed I’ve been busy sowing, pricking out and potting on. It’s a sad process in some ways. When every seed germinates giving 20 tomato seedlings but I only need half a dozen plants, if that. Still, that’s nature with a little help. Having researched the optimum germination temperatures and put them into practice, I’ve found my germination rates are far higher and faster than they were. All I need to do now is reduce the number of seeds I sow accordingly. The lights are now running on the Vitopods and the Geopod. 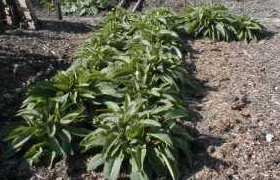 The costs are very low and the resulting plants so much better, I think it well worthwhile. I’ve had to move the first batch of tomatoes to a two tier Vitopod as they’re pushing the lid of the single tier already. Our Hotbin composter was stuck on cool so I gave it a mix with my mini-auger on the end of a cordless drill and added some shredded paper. The next day it was heating up nicely but there were masses of worms climbing the sides. I actually missed a trick because I should have collected them up and given the chickens a treat. 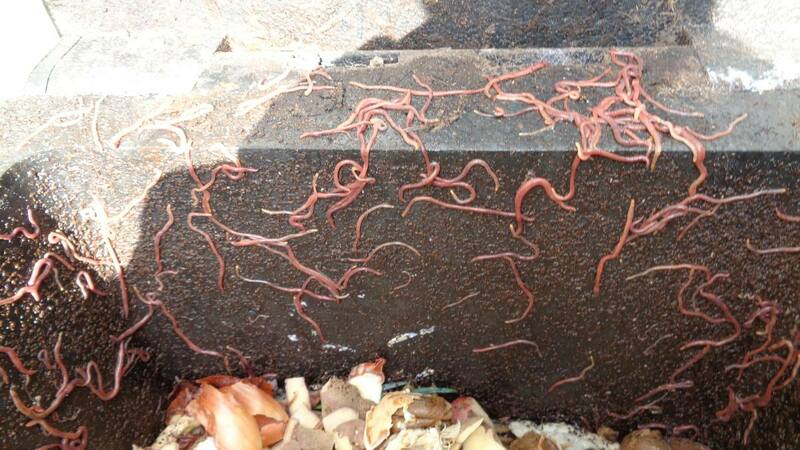 The thing is the worms must have moved up from the base and when the bin reheated, some would go down and some went up to their doom. They’ll be compost themselves soon. ‹ How Long Will My Jam Keep For? 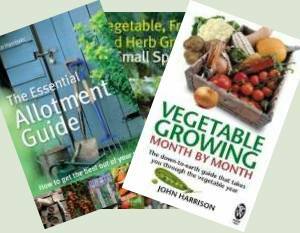 Hi John I was really surprised how the seven year old seed you raised looked strong and healthy obviously they were brassicas! Hi Rowland – if I’d known it was going to germinate so well, I wouldn’t have sown the lot in one pot! I’m not sure we’re ahead of you in the Midlands. Although our temperatures are moderated by the sea being near, our height and wind-chill etc. make growing here similar to south Scotland in some ways. 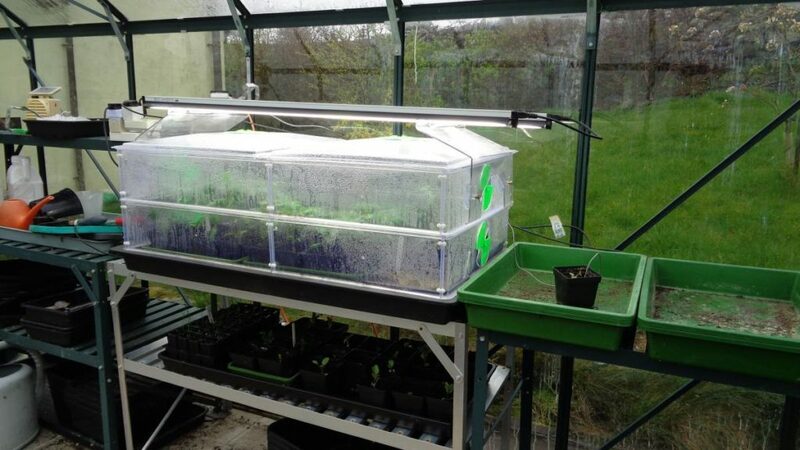 I do rely on on heated propagators though – they make life so much easier.